Samsung appears to have pretty relaxed control over its social media accounts. Not only have they been caught tweeting from an iPhone several times in the past, but they’ve also been known to post revealing information ahead of big events. Samsung Vietnam is the latest to have slipped up with a teaser video that probably shouldn’t have been posted for another few weeks. The one-minute clip, which was removed shortly after being published, provides fans with a glimpse at a number of futuristic devices — such as a tattooing robot and a smartphone add-on that can hear a baby’s heartbeat from inside the womb. Another device that briefly appears in the teaser is a foldable phone. We don’t get to see it for very long, but it is clearly a smartphone that opens up, like a book, into a tablet. Samsung first teased its foldable phone last November during a developer conference. It has since promised that the device, which is expected to cost around $1,700, will be available in early 2019. 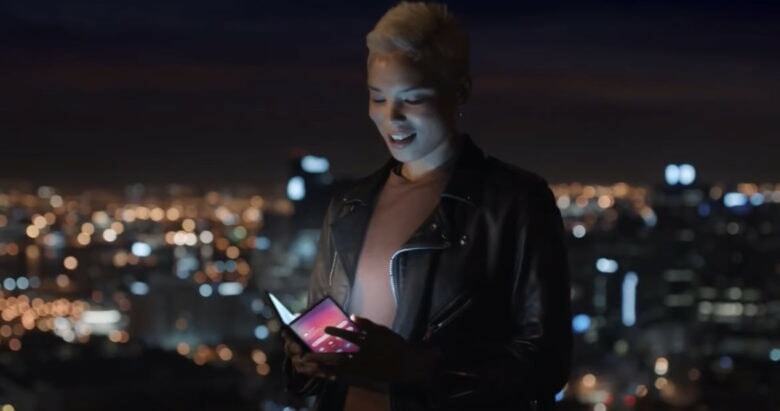 What’s unclear at the moment is whether the device in the video above is that foldable phone, or nothing more than a futuristic concept mocked up for a fancy teaser. It almost looks too good — too thin, at least — to be a first-generation foldable phone. We hope to find out more on February 20. Whatever the case may be, I’m going to be pretty disappointed if the real thing isn’t as impressive as the device in the teaser.